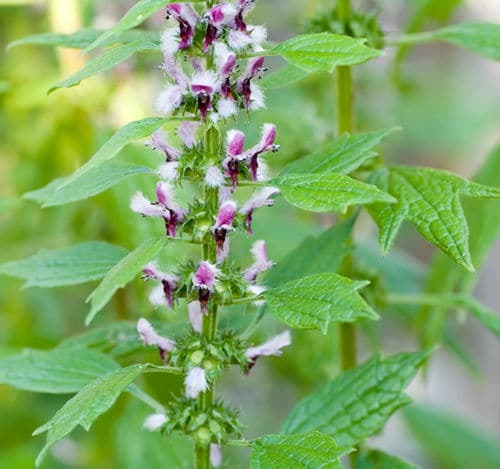 Home » Natural Ingredients » What Is Motherwort? 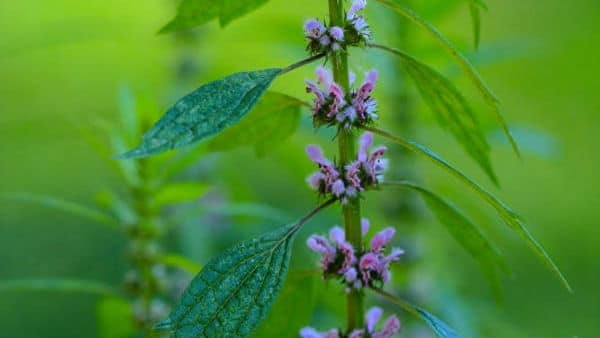 Motherwort (leonurus cardiaca) is an herb in the mint family which can also go by the name of Throw-wort and Lion’s tail because the leaves look like the tail of a male lion. Motherwort’s claim to fame is because it is used in a variety of herbal remedies. Motherwort got its name because historically midwives used it for many purposes, most notably to prevent uterine infection in women. The ancient Greeks also gave Motherwort to pregnant women to ease their pain and anxiousness during or right before delivering. Motherwort was natively found in Central Asia and southeastern Europe but is now grown and cultivated throughout the globe because of the medicinal, herbal remedies for which it is valued. You can find Motherwort along roadsides, waste grounds, and other areas that have been disturbed because the plant loves a habitat of well-drained soil, partly in the shade. What Are the Health Benefits of Motherwort? As its namesake suggests, Motherwort, for centuries, has been used to help childbirth-related conditions. That’s because Motherwort has the properties to act as a galactagogue (promotes healthy mother’s milk flow). Another health benefit of Motherwort during childbirth is to act as a uterine tonic of sorts before and after delivery which helps to flush and clean the uterus. That means that Motherwort helps in the prevention of uterine infections which can sometimes occur during childbirth. Besides acting as a galactagogue, Motherwort also acts as an emmenagogue (promotes menstrual flow). That’s right! The motherwort found in Bust Bunny can actually help to regulate your menstrual cycle and can even ease the symptoms associated with menopause and menstruation. Staying in the delivery room, Motherwort is a natural sedative which soothes a woman’s body of nervousness, heart palpitations, and rapid heart rates during delivery. Of course, this health benefit of Motherwort can be used outside the delivery room for these same complications and can even help with sleeplessness and postpartum depression. The relaxing property of Motherwort can also help with hypertension because it relaxes and calms your blood vessels and nerves. This, in turn, allows Motherwort to help prevent the formation of blood clots, increase blood flow, and reduce the risk of a heart attacks and strokes. Moreover, this benefit of Motherwort helps with headaches and even vertigo! We’ll get to how Motherwort helps with breast growth a bit later because there are so many other benefits to the Motherwort in Bust Bunny that we can’t pass them up. Believe it or not, Motherwort can ease lung-related ailments such as asthma and bronchitis. Additionally Motherwort can help with many variations of thyroid disease and hypoglycemia. It’s truly an incredible herb! Another Motherwort benefit to ease moderate pain. Muscle aches, toothaches, gastrointestinal pain—Motherwort can relieve just about any type of pain. Reap the benefits of Motherwort by taking Bust Bunny supplement. Use coupon code “motherwort” to get 10% off or CLICK HERE to have it instantly applied. What Are the Side Effects of Motherwort? Like all the products in Bust Bunny, Motherwort is about as safe as it gets. However the side effects of Motherwort are contained below. Since Motherwort stimulates the blood flow of the uterus, it should be used very carefully during pregnancy as it could cause a miscarriage during the early terms. Additionally, Motherwort should not be used if you are suffering from a uterine bleeding condition. Other than those risks, Motherwort is incredibly safe to use—especially for women! 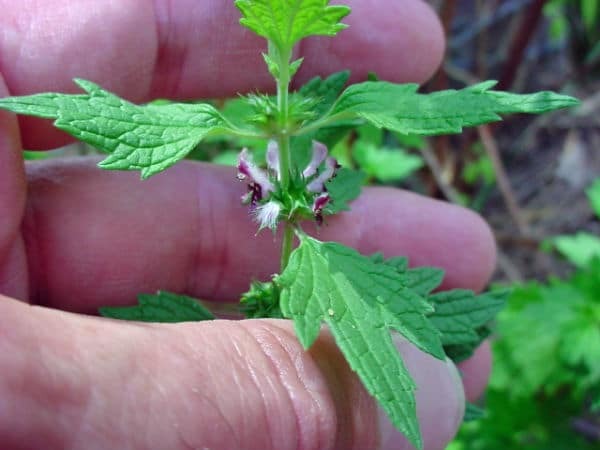 What Is Motherwort Found In? How Does Motherwort Make Breasts Bigger? With all the benefits of Motherwort in the delivery room, Motherwort makes breasts bigger by naturally aiding the processes in your body that promote milk flow and breast tenderness (remember the galactagogue property of Motherwort mentioned above? This, even when not pregnant, naturally increases your bust size. The relaxing property of Motherwort found in Bust Bunny also aids in the resting and strengthening of your muscles and tissues. This allows for those muscles and tissues, especially in the breasts since that’s what Motherwort targets, to naturally grow larger. With Motherwort being an ingredient in Bust Bunny Breast Enlargement capsules, most women will see a noticeable change in their bust size. Just like other ingredients in Bust Bunny, like Black Cohosh, the herb is all natural, and is considered safe by the FDA (it is listed on their Generally Regarded as Safe list, or GRA). Motherwort has been used to effectively assist women for many years, and will aid in your breast growth journey. Start your breast enhancement journey today with 10% off using coupon code “motherwort” or CLICK HERE to have it instantly applied.